Officially opened in 1994, Peace Lutheran College is owned and operated by the Lutheran Church of Australia, Queensland District. 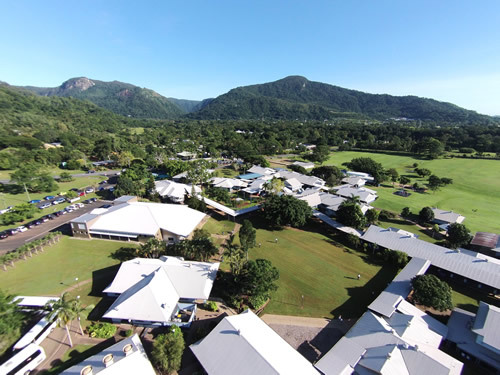 Nestled in the picturesque hills between Redlynch and Lake Placid on the Barron River, the College is located 15km north-west of the Cairns CBD. Peace is a Prep – Year 12 Christian Co-educational Day and Boarding College and currently has 665 students – 101 of these are Boarding students who come to us from locations around Australia and the world. Our culture of inclusiveness embraces mutual respect for the beliefs of our multicultural school community and the College’s Christian ethos. Developing the whole person is at the heart of what we do at Peace, ensuring our College is a place where everyone feels valued; a place where everybody is somebody. 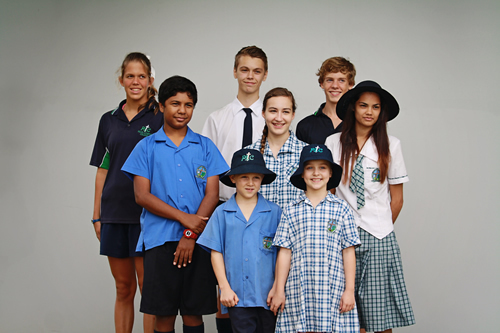 Peace Lutheran College stands out as a quality Christian co-educational Prep-Year 12 school in North Queensland. It stands out because we treat each other, students, staff and parents, with care and respect. We allow individuals to learn and develop in ways appropriate to them, and we take our mission seriously. We try hard to do what we say we do – to provide an authentic quality schooling experience where God’s love for every person is evident and informs all that we do. We are a community inclusive of many backgrounds and cultures, Indigenous and non-Indigenous students, local and overseas, who work and play alongside each other. Our boarding facility allows us to serve a wide area of North Queensland, Torres Strait and other South East Asian nations. Service is our way through a Christ-centred education with excellence our goal and people our priority. I encourage you to visit us in person and to see for yourself who we are and how we operate. I would be delighted to meet you and to show you around.